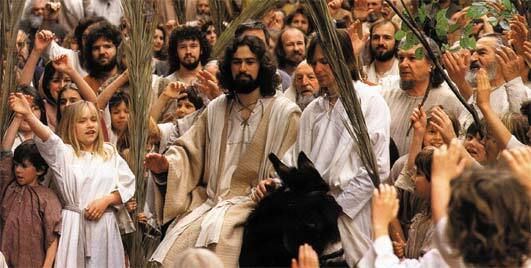 Palm Sunday commemorates the triumphal entry of Jesus into Jerusalem to celebrate the Passover. The gospels record the arrival of Jesus riding into the city on a donkey, while the crowds spread their cloaks and palm branches on the street and shouted "Hosanna to the Son of David" and "Blessed is he who comes in the name of the Lord" to honour him as their long-awaited Messiah and King. The significance of Jesus riding a donkey and having his way paved with palm branches is a fulfilment of a prophecy spoken by the prophet Zechariah (Zechariah 9:9). In biblical times, the regional custom called for kings and nobles arriving in procession to ride on the back of a donkey. The donkey was a symbol of peace; those who rode upon them proclaimed peaceful intentions. 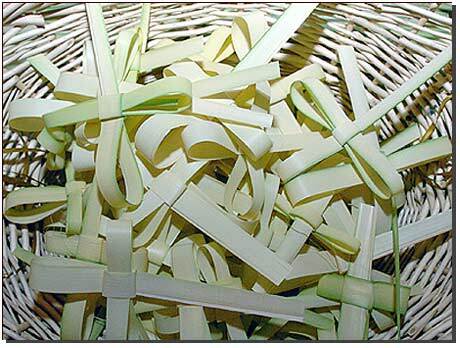 The laying of palm branches indicated that the king or dignitary was arriving in victory or triumph. It was Palm Sunday but because of a sore throat, 5-year-old Johnny stayed home from church with a sitter. When the family returned home, they were carrying several palm fronds. Johnny asked them what they were for.